- Free refills, extra values, and perks. Sign up for Regal Crown Club and receive special offers, updates on everything entertainment and coupons when available. Tickets are for sale at the box office, $1 admission for shows on Tuesday and Wednesday mornings at 10 am. Present mobile coupon and receive a $3 discount on a soft drink at your local Regal Cinema. Receive a free small popcorn at participating Regal Cinemas. 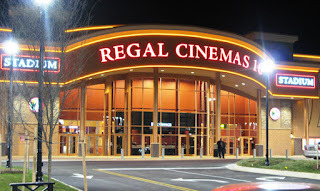 Regal Cinemas is the largest movie theater circuit featuring major motion pictures, digital movie presentations, RealD Digital 3D movies.